Today, the whole nation is celebrating the birth anniversary of Quaid-e-Azam Muhammad Ali Jinnah who changed the course of history by single-handedly carving out Pakistan against the combined opposition of the British Raj and the Indian National Congress. The establishment of a new country through sustained political and constitutional struggle was a unique miracle that caught the political pundits unawares. I have no harm in admitting that Pakistan’s elite of all hues and colours has miserably failed the people of Pakistan particularly the poor and less privileged sections of society. Despite the passage of 70 years, the dream of making Pakistan an egalitarian society has yet to be realised. What is even more worrisome is the spectre of increasing inequality that is ripping apart the social fabric of our society. Socio-economic disparity is at the heart of the various crises that we continue to confront. The elite’s claim to perks and privileges at the cost of the provision of basic facilities to the people threatens to ignite the raging volcano beneath the surface, whose recurring demonstration we see in different forms. The governance model I have implemented in Punjab is premised on opening greater policy space and allocating more resources for the social sector. This year’s budget has witnessed massive increases for health and education, a step that has been defined as a policy win for the social sector. The benefits of health reforms go beyond the physical wellbeing of the people. They directly feed into improvement in economic outcomes and productivity of the workforce. Hence, a healthy society is a prosperous society whose members willingly contribute to national development. Of all the diseases that have widespread prevalence affecting the health of the poor and disadvantaged sections of society, liver and kidney problems top the list. The figures of these diseases are scary to say the least. About 10 million people of Pakistan suffer from hepatitis C and more than five million are infected with hepatitis B. Around 1.2 million people are in need of a liver transplant, whereas three lakh people are confronted with acute emergency. Those who can afford the costly treatment go to India and China for a liver transplant while the poor only wait to meet their Lord for want of quality and affordable medical services. Keeping in view the grim situation, we decided to set up the Pakistan Kidney and Liver Institute and Research Centre (PKLI) as a flagship project of Punjab. The groundbreaking of multi-billion rupee project was performed in August 2015 and today the inauguration of the first phase of the project is being carried out. On its completion, the PKLI will eventually be the first state-of-the-art project of South Asia and one of the largest transplant centres in the world. It will have a 800-bed facility extendable to 1500-beds, a 100-bed emergency centre, a 100-bed ICU, a 100-bed outpatient dialysis facility, 500-bed in-patient facility, 20 operating rooms and 10 same-day surgery suites. In addition to providing employment opportunities to 5000 people, the PKLI will provide free and affordable best medical care to not only residents of Punjab but also our brothers and sisters from other provinces including GB and AJ&K. In Punjab, we have resolved to achieve the goal of making the province hepatitis-free by 2030 – in line with the WHO commitment. In order to achieve this purpose, Punjab is the first province that has enacted the Punjab Hepatitis Ordinance 2017 that aims to institute an organised mechanism to stop the spread of hepatitis C. Various risk factors responsible for the transmission of hepatitis C are being taken care of under this ordinance. Punjab has introduced a policy of using auto-disabled syringes at public health facilities across the provinces. This year, 50 percent of the syringes in THQs/DHQs were replaced by auto-disabled syringes. We plan to take the ratio to 90 percent next year, followed by a third-party audit to determine that syringes are being used in the correct manner. Given the lethality and prevalence of hepatitis C, which exposes patients to liver cancer and liver failure, the Punjab government has launched state-of-the-art Hepatitis Treatment and Prevention Clinics, also called filter clinics, as part of the PKLI project. The government aims to set up 100 such clinics across the province, eight of which are already fully functional. These clinics are well-equipped and well-resourced and have the services of trained liver specialists. The treatment of 24,000 patients is currently underway and the goal is to treat 100,000 patients this year, a number which will increase in years to come. In order to supplement treatment, the government has adopted an innovative and flexible medicine delivery arrangement whereby via partnership with private courier services medicines will be delivered to the patients at their doorstep. The idea of setting up the PKLI and Hepatitis Filter Clinics would not have been implemented without the selfless and dedicated support of Dr Saeed Akhar whose single-minded focus and love of humanity has been a game-changer. Dr Akhtar has convinced leading foreign qualified Pakistani doctors living abroad to return to the country and serve the ailing humanity. I cannot thank Dr Saeed Akhtar and his team enough for their devotion to the cause. A hepatitis-free Punjab is my goal. I am going to employ all my energies and efforts to see the back of this viral disease in the same way as we eliminated dengue in 2011-12. In my view, provision of quality medical services to the people is the best tribute to the Father of the Nation on his birthday. The recently concluded weeklong 19th National Congress of the Communist Party of China (CPC) will be remembered as an epoch-making event not only in the history of China but also the world. The insertion of what has come to be acclaimed as ‘The Xi Thought on Socialism with Chinese Characteristics for a New Era’ into the constitution of the Communist Party has put President Xi Jinping into the privileged league of great Chinese leaders, Chairman Mao Zedong and Deng Xiaoping. President Xi has thus become the first living leader to have earned this rare honour. Two of his signature and deeply cherished initiatives, namely his anti-corruption programme and the Belt and Road vision also found their way into the party constitution. 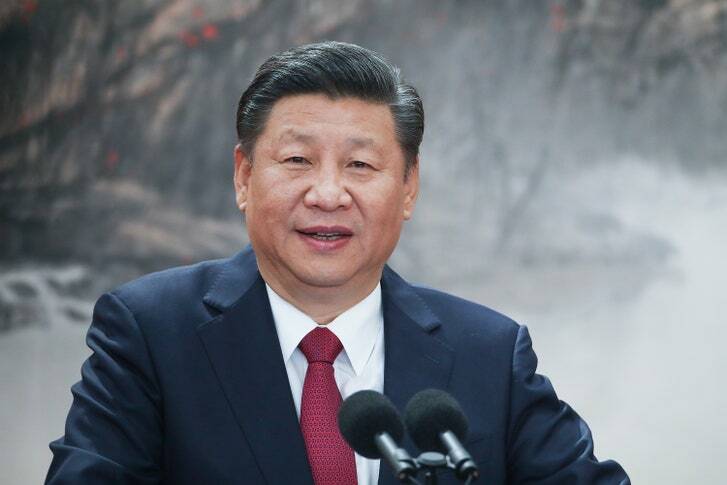 President Xi’s Thought, which is characterised by his new philosophies, ideas and strategies on governance, has been built on the edifice of Marxism-Leninism, Chairman Mao’s Thought, Deng Xiaoping’s Theory, and Jiang Zemin’s Three Represents. It is also distinct in its own way. Mindful of ground realities and objective conditions shaping the global political and economic order, he has demonstrated his statesmanship to look far into the future. The Congress just did not just provide a blueprint for next five years but also laid out a comprehensive plan to achieve the Chinese renaissance from today through 2050. Vowing to complete Deng Xiaoping’s project of building a ‘Xiaokang society’ marked by general prosperity and orderly social norms, the Xi’s ‘new era’ seeks to attain social modernisation by 2035, which will witness middle class expansion, and innovation- and technology-led, clean development. President Xi has identified that threats to sustained economic development stem from gap between the rich and the poor and environmental hazards. Hence, his policy has shifted from underdevelopment to making economic growth balanced and participatory. By demanding the reform of global economic governance system, Xi Jinping has made a strong case to develop a model for fair and equitable governance that reflects the realities of modern times. Ever since the 18th National Congress in 2012, China with Secretary General Xi Jinping as the core has successfully implemented the new philosophy of innovative, coordinated and shared development agenda with a focus on four-pronged Comprehensives enunciated by the Chinese president. China’s march towards medium-high growth trajectory has been evidenced by an annual GDP growth rate of 7.2 percent on an average from 2013 to 2016, which is higher than the world average of 2.5 percent during the same period. Its GDP accounted for 15 percent of the world total ($11.2 trillion) and GNI per capita registered an increase from $5940 in 2012 to well over $8000 in 2016, thus inching closer to the goal of middle-to-upper income country. The country was ranked 25th on the Global Innovation Index 2016. The preceding five years witnessed the lifting of nearly 14 million people out of poverty on an annual basis, with 2020 being the deadline for lifting the whole of the rural population out of poverty. The ‘tigers and flies’ approach adopted by President Xi in his drive to root out corruption has resulted in bringing down 1.5 million corrupt people. His Belt and Road Initiative captures the spirit of our times and is a gigantic step aimed at promoting openness, inclusivity, peace and mutual learning. Enjoying strong support and ownership of around 100 countries and multilateral organisations including the UN, the Belt and Road vision is not only a bold but also an epic and futuristic proposition that seeks to create a community of shared interests. It is a pathway to promoting win-win partnerships for around three billion people from across Asia, Africa, Middle East, Central Asia and Europe. Once dubbed as the sleeping giant by Napoleon Bonaparte, New China has successfully emerged as a global economic, military and strategic power. While the first years under Chairman Mao were formative and inward-looking, China embarked on a journey of economic development and opening-up by keeping a low profile in the comity of nations as advised by iconic Deng Xiaoping. Through the sagacity of the leadership, vision of the Communist Party and hard work by the Chinese people the country was able to achieve its objectives by the end of the last millennium. The ‘muddling through’ years between 2002 and 2012 saw China consolidate its economic gains by increasing its GDP and expanding its economic size in terms of purchasing power. The stage was thus set for a leader of Xi Jinping’s intellectual prowess to seize the moment and guide China along a new path of balanced, participatory and green development. As global political and economic architectures undergo transformations with implications for world peace, harmony and overall wellbeing of humanity, the peaceful rise of China as the second largest economy and paramount global power has brought much-needed relief to those who feel that the emergence of far-right politics in Europe is a potential threat to the forces shaping globalisation. The lethality and imminence of this threat can be gauged from the increasingly receding position the UN has been subjected to over the last couple of decades in particular. As ‘political nationalism’ becomes a new normal across North America and Europe, calling into question the very foundations of our shared fabric of economic globalisation, President Xi Jinping has emerged as a potent voice espousing the aspirations of the developing world. He has advocated a strong case for multilateral and a shared approach to problem-solving, with the UN at the core of dispute resolution. In his historic address at the last meeting of the World Economic Forum 2017, President Xi Jinping put up a resolute defence of economic globalisation, stating that “There was a time when China also had doubts about economic globalisation, and was not sure whether it should join the World Trade Organization. But we came to the conclusion that integration into the global economy is a historical trend. To grow its economy, China must have the courage to swim in the vast ocean of the global market.” His appeal for a dialogue and cooperation between South-South and North-South blocs resonates well with the global community. What has impressed me deeply about him is his enunciation of the ‘Chinese Dream’, which seeks to improve the living conditions of not just the Chinese but also people of other countries. His Belt and Road vision, and by extension the China-Pakistan Economic Corridor, are extension of his ‘dream’ that is premised on fostering shared prosperity and creating a community of common interests. We, in Pakistan, look at China as an ‘iron brother’ and an ‘all-weather friend’ whose phenomenal progress continues to inspire and motivate us. China continues to be a model country for Pakistan in many respects. Beijing’s impressive rise has great lessons for Pakistan. With President Xi Jinping at the helm, China has a central role to play in shaping the 21st century, which is being increasingly dubbed as the Asian century. As brothers and partners, we remain keen to learn from the experiences of our great Chinese friends in our quest to achieve progress and prosperity. The arrival of the first train car for the Orange Line Metro Train project signified a major development for the project that has drawn the attention of people from across the country. Termed as China’s gift for the people of Pakistan, the funding of the project has been acquired on the softest terms and conditions that will be paid back within a span of 20 years after a grace period of seven years in between. Upon its completion, the OLMT project will initially provide a dignified, reliable and comfortable transport facility to 250,000 passengers on a daily basis. By 2025, the number of people who are likely to enjoy this facility will increase to 0.5 million. Around 75 percent of the civil works for the project have been completed. A certain segment of the elite and our political opponents have not digested the idea of a citizen travelling in an honourable way and have thus thrown a spanner in the works for the project. These are the people who wasted precious time on sit-ins, threatened to lock down the federal capital and resorted to protests and agitations at the throw of a hat. These elements have turned character assassination and raising baseless allegations into an art form. They are polluting the minds of our youth. It is time to expose such people and show that hard work pays off and character, honesty and determination are the building blocks for nation-building. These people churns out misinformation that the money to be incurred on the construction of the OLMT project will go down the drain. Public transport across the world is subsidised. Should we then assume that those who drive past the citizens in their imported SUVs with a sense of disdain for them have exclusive rights on the state’s resources? Inequalities between the haves and have-nots are among the major issues that our polity is facing. The dream of an egalitarian society – for which the millions of Muslims rendered huge sacrifices under the leadership of the Quaid-e-Azam – will remain unfulfilled unless people are provided basic necessities of life. How is it possible that the elite enjoy a good life but when it comes to giving people their due, they take recourse to court cases to protect their privileges? Those who base their opposition to the OLMT initiative on its supposed impact on the heritage and cultural sites have never been to these places. They frequent the world’s best resorts for their yearly recreation. When the Green Line Bus Project was launched in Lahore, a political leader showered baseless accusations on the initiative. First, he claimed that Rs70 billion were spent on the project. Upon being confronted to prove his allegation, he said that the iron of the Ittefaq Foundry was used without even realising that the Ittefaq Foundry was closed down 20 years ago. When all tactics failed to work with regard to the Green Line Bus Project, opponents targeted the OLMT project. It has now been close to two years since work on the 11 points of the project has remained suspended due to stay orders. While the Punjab government constructed the 27-kilometre-long metro bus project at the cost of Rs30 billion, the PC-1 cost of the 23-km-long Peshawar Metro Project has been estimated at Rs44 billion, which is likely to increase by the time the project has been completed – if at all it is. It is a matter of record that a prominent PTI leader from Lahore filed a petition against the OLMT project in the apex court. He eventually feared a strong public backlash and withdrew it within no time. With precious time lost, it will not be possible to complete the project by its timeline of December 25, 2017. However, if the honourable SC allows us, we will leave no stone unturned to complete the project as early as possible. The OLMT project will transform people’s lives. The project will become the basis of an interaction between different classes of society by creating a sense of equality and ownership in social terms. What is regrettable is that the relentless opposition to a public welfare project such as the OLMT initiative has come from a leader who talks of a ‘change’ and never tires of trumpeting the mantra of ‘Naya Pakistan’. Real change happens when you truly empower the people by giving them their fundamental rights. Change means empowerment and the elimination of a class divide by establishing an egalitarian society. What kind of leader opposes the mass transit system in Lahore when he has been unable to lay the first brick of the Peshawar Metro in well over four years? When the people of KP are afflicted with as lethal an epidemic as dengue, he goes to the mountains without giving a hoot about their hardships. When the government introduces the Kissan Support Package, he goes to the court against this welfare project to stop its benefits from accruing to farmers. What is his net contribution to the public discourse other than poisoning the minds of the youth and promoting the politics of sabotage and hate? Will his ‘Naya Pakistan’ be built on the death of the aspirations and dreams of the people? We are living in two Pakistans – the Pakistan of the poor citizens and the Pakistan of the affluent and the rich. Public welfare projects such as the OLMT project have delineated a clear line between the haves and the have-nots. If hurdles are created in executing such projects, which are directly linked to their welfare, we should be ready to face the blowback. We need to bring about a soft orange revolution before we are struck by hard revolutions like the ones that swept Ukraine, Egypt and Tunisia. In the final fight for rights, I will be standing with my people against the elitist and privileged system. Those opposing the OLMT project out of the fear that it will swell the vote bank of the PML-N are in the wrong. The people know who started this project and who is creating hurdles in its implementation. The elections in 2018 will be the occasion when our political opponents will get a taste of their own medicine. The OLMT initiative is a project that I have invested my political capital in as it represents the aspirations of the people. This project will surely serve as a game-changer. It will be a trend-setter and provide quality transport services to commuters. This article has been excerpted from the speech that the Punjab chief minister delivered at a ceremony held to mark the arrival of the rolling stock of OLMT on October 8. It was the perfect setting. We had gathered on the historic occasion of the contract-signing for the construction of the 1,263 MW RLNG-fuelled Punjab Power Plant. 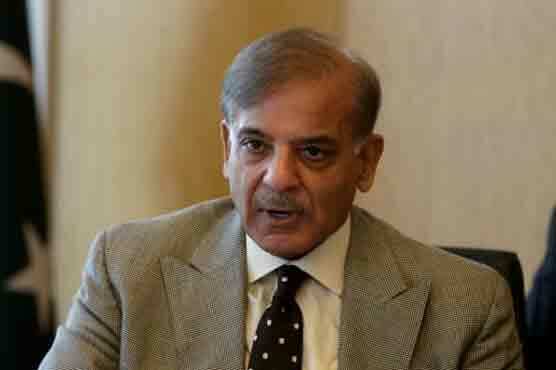 The initiative will be wholly financed by the Punjab government out of its own resources and is the fourth largest gas-powered project that is being launched after the successful commissioning of the first phase of the Bhikki, Haveli Bahadur Shah and Balloki power plants of 3,600 MW cumulative capacity. I took this opportunity to tell the amazing story of Pakistan – a story of the hard work, resilience and unmatched talent of our people. I wanted to tell the world how resolutely and professionally the PML-N government took on the challenge of massive power outages that had inflicted heavy losses on our economy, industry, agriculture and domestic households during the past 15 years. Since the government took over four years ago, we have witnessed the speed at which work on the energy sector projects has been undertaken. The days and nights spent in thinking of ways and means to put an end to this chronic problem has enabled the government to arrest this serious challenge. By the end of this year or early next year, loadshedding will leave Pakistan forever. The signing of the contract for the Punjab Power Plant represents a gigantic step forward in our efforts to drive a nail in the coffin of the energy crisis. This project is geared towards meeting the electricity demands of our industry, agriculture and economy. The power projects currently underway across the country and the megawatts that have either been added to the national grid – or are in the process of being added – are just enough to meet our current demands. But for various reasons – such as the needs for repair, the maintenance of the plants, the replacement of old and inefficient plants and the expanding electricity requirements of our economy – it is wiser to have surplus power available in our system for a stop-gap arrangement. Around 810 MW from the 1,263 MW Punjab Power Plant will be commissioned to the national grid in 14 months from the date that the contract is signed while the entire project will come online in 26 months altogether. Despite all the hurdles thrown our way during the past four years, we have come a long way. It is unfortunate and hugely dispiriting to see a segment of our media constantly churning out lies and half-truths and spreading speculations and misstatements. The standard line of argument employed by this section of media is that the Sharif brothers do not set up development projects unless they have lucrative prospects to line their pockets with commission and kickbacks. Together with some vested interests, they never tire of trumpeting the mantra that their development projects are an example of corruption and financial irregularities. This is done with complete impunity and without presenting proof. Can the media name as many projects in the last 70 years like those started and completed by the PML-N government within the short span of four years? The gas-fuelled power projects of 3,600 MW, whose first phase is already in operation, will be completely inducted into the system by the end of this year. This is in addition to the power projects included in the CPEC basket, such as the Sahiwal Coal Power Plant, Port Qasim Power Plant and Quaid-e-Azam Solar Park. How could this segment of the media forget the massive loss worth billions inflicted on the nation by the rental power projects? How could they turn a blind eye to how the machinery of the Nandipur Power Project rusted at the Karachi port while the file of the project lay in the drawer of a former PPP minister? How was the nation led up the garden path in the case of the Diamer-Bhasha Dam project? It is only now that the acquisition of land has been completed with Rs100 billion by the PML-N government. The point I am making is that attempts to disfigure, twist and cherry-pick facts do no service to the nation. They will only darken our path. The media should have the courage to state facts as they are. I have no problem if your criticisms are justified. But what journalistic ethics also demands is that you should also tell the other side of the story. In the case of development projects completed by Punjab, the headlines of transparency and savings are too powerful to be ignored. A heavy responsibility rests on our shoulders. First and foremost, we are Pakistanis and our other associations come later. I am not here to criticise my opponents. Instead, I’m here to drive home the point that each one of us, in our individual and collective capacity, has a responsibility to educate and sensitise our nation about the challenges that stare us in the face: the challenges of terrorism, political instability and corruption. Our people, who have been fed on a diet of speculations, also deserve to be told that the projects directly linked to their economic survival – whose ground-breaking was performed only a couple of years ago – have been completed. The broad message is that everything is possible if we are honest in our intentions and committed to our goals. We will only make a respectable nation when we believe in our ability to work wonders and are respected by our friends and foes alike. In the case of power projects, the Guddu Power Plant, which was constructed a few years ago, is an apt reference point. It was constructed at a cost of $836,000 per kilowatt. Compared to this, three RLNG-fuelled projects have been built at the cost of $470,000 per kilowatt. The Punjab Power Plant will incur Rs10 billion less as compared to three gas power projects. Likewise, the first phase of these projects came online in 17.5 months on an average but the first phase of the Punjab Power Plant will become operational in 14 months. This is the story that a seeing eye has not seen and a hearing ear has not heard. The project will use the machinery of the highest quality to be supplied by renowned global firms such as Siemens and will be instrumental in producing cheap electricity that will directly benefit the consumers. Punjab’s experience of setting up power projects at tariffs that are far below Nepra’s capping is a lesson in how we fight for each penny in an effort to save as much as we can to benefit the common man. Let us tell the outside world that Pakistanis are hard-working and honest people who have what it takes to work wonders and achieve excellence. When I stood up to address the Health Road Show organised by the Punjab government in London on a chilly evening on September 10, I was overwhelmed by the inspirational stories of hard work and devotion of Pakistan’s diaspora community. The idea of organising the Health Road Show in London was to give the stakeholders an overview of the vast opportunities within the health sector and the possibilities of win-win collaborations with the Punjab government. Above all, we had gathered for a larger cause: to serve the suffering masses and prioritise patient care. All of us go through sobering and defining moments in our lives that help us look at the world around us differently. My moment came when I was diagnosed with cancer in 2003. My fight against cancer helped me recognise that access to quality healthcare services is not a privilege but a fundamental right. Though I am known as someone who is committed to brick and mortar, the fact is that my heart lies in the development of the social sector, particularly the provisions of quality healthcare and educational facilities. Through the sustained efforts of my team, Punjab is marching in this right direction. However many challenges still remain. I went to the UK to seek assistance and cooperation from our friends, partners and members of our own community. Currently, Punjab has a population of 110 million. Catering to demands of this burgeoning population is not an easy task. Regardless of how well-equipped the public health system is there is always a room for improvement. The gap between the availability of healthcare facilities and the rising demand is what keeps me on my toes. Punjab is open for investment in all sectors of its economy, especially in the health sector. We are encouraging the private sector to collaborate with the government. You will have the space and the support of the government, to strategise, plan and expand your investments and business ventures. Public-private partnership is a mission statement in the health sector through which we seek to pool our resources together to establish win-win partnerships. In case you want to bring your capital to Punjab, you have a lucrative set of opportunities. All business models are on the table. You will have the best facilities. You will get attractive sites in the heart of the major cities to construct your health facilities. The government will process your applications under a one-window facility. I will personally supervise all processes. You have my pledge that no red tape will be allowed to impede the process. There will be complete transparency in all transactions. The foundation of our engagement should be laid in complete honesty. It is important to have an idea of the rot that had seeped in the health sector. It is after we have a clear understanding of the magnitude of the challenge that we can identify what needs to be done. In 2015, our local labs approved and certified 99.9 percent samples of the medicines. When I sent them to the UK drug laboratories for testing, 33 percent of them were rejected for being substandard. This led the Punjab government to set up a drug test lab in Lahore. Punjab procures medicines of $60 million per annum in a transparent manner. After they are tested by the local labs, the medicines are sent abroad for certification in four or five other international labs. Quality medicines are being provided free of charge to patients across all public hospitals in Punjab. The same goes for costly hospital equipment. The vested interests and mafias had rendered MRI and CT scan machines nonfunctional and the patients were left with no choice but to carry out costly tests from outside. Now the Punjab government plans to procure 30 CT scan machines under a public-private partnership. After these machines are installed, people will have a 24-hour facility in their areas. Similarly, there was no concept of organised and efficient janitorial services. With the outsourcing of these services, cleanliness at hospitals has improved. Around 15 janitorial services have been introduced at public hospitals. Likewise, companies have been hired to dispose of toxic waste at hospitals. There was no concept of third-party certification in the health sector. Punjab is the first province that has introduced the validation of operations by the third parties. This has helped ensure transparency and improve the quality of healthcare services. It is unfortunate that there is no state-of-the-art biomedical workshop that is responsible for maintaining hospital machinery and equipment. Work has been initiated on this project. In Punjab, we are looking for quality human resources to address the rising demands in different health services. The government is seeking qualified human resources with specialties in different categories. We are flexible when it comes to the recruitment of human resources as per their skill set and knowledge base. I have listed some of the areas above that are ripe for investment. The government is working on a holistic reform agenda to set the health governance system right through coordinated policies. However, there is a vast space for the private sector to step in, partner with the government and improve health facilities. Healthcare reforms are not a catchy slogan but a matter of deep personal commitment. Finances are not a problem when it comes to the provision of quality healthcare to the people. For the last nine years, we have never witnessed a paucity of funds to finance health services out of our own provincial resources. I would request you to support me in introducing a health system that works and delivers quality healthcare to the people. I cannot do it alone. I want you to become my tango partners. It’s a team effort. This article has been excerpted from the keynote speech that the Punjab chief minister delivered at the Punjab Health Road Show in London on September 10. As I boarded the helicopter headed for Qadirabad to attend the inaugural ceremony of the first unit (660MW) of the Sahiwal Coal Power Plant, I was overwhelmed by the deep sentiments of humility and gratitude to Allah Almighty whose special blessings enabled us to deliver on a commitment that has made a world record and stunned foes and friends alike. Never in the world has a coal-fired project of such a size been completed in such a short duration. The Chinese engineers working on the project bettered their own record of building a project of this size by completing the construction of the Sahiwal Coal Power Plant in 22 months. The project has also been commissioned six months ahead of its scheduled date of completion – i.e. December 2017. The Sahiwal Coal Power Plant is not just a development project. It is a story of dedication, commitment and hard work in the service of people amid trying and challenging circumstances. The symbolism of the project lies in the fact that it is not only the first mega coal power project of Pakistan’s history but also the first power project of CPEC that has come online. By constructing this project in record time, the government of Prime Minister Nawaz Sharif has sent out a loud and clear message to all stakeholders that the people of Pakistan mean business and the leadership’s commitment to the completion of CPEC projects as per their timelines is unwavering and absolute. Though the past governments have been trying to do business with China, it was during the government of Prime Minister Nawaz Sharif that China has rolled out world’s largest investment portfolio of worth $55 billion. This reflects China’s trust and faith in the leadership of the prime minister, transparency of his government’s policies, confidence in his past record of public service and ability to deliver on commitments on time. The mega development projects that are coming online across the country at an unprecedented speed will be the lasting legacy of the prime minister. In a span of two years only, minarets of development and prosperity are being erected that will transform the landscape of Pakistan by building a cluster of industrial parks, power projects and communication and infrastructure networks. They will be the building blocks of Pakistan’s journey towards progress and will put the country in the league of developed nations. I remember when the prime minister made a pledge with the nation in 2013 to end power outages for good. He was clear that Pakistan’s quest for progress will remain unfruitful unless the energy deficit that took such a heavy toll on our economy was taken care of. While the resolve was there, a full understanding of the enormity of the challenge at hand was also there. The million-dollar question was where the money would come from to translate the promise into a reality. It was then that Allah Almighty opened the door in the form of CPEC. The rest, as they, is history. The conclusion I draw from this experience is that if you have the right intention and the will to serve people, Allah Almighty helps you in different ways. When the all-important visit of the Chinese president was being planned in September 2014 – when the CPEC agreements were to be signed – the dharna politics was in full swing. The leader of the protesting party was contacted diplomatically at the highest level with the request to end the sit-in in view of the delicacy and importance of the Chinese president’s visit. He refused to do so and resultantly, the presidential visit could not happen before April 2015, thereby wasting precious time of the nation. Just imagine had such a hurdle not been created, the Sahiwal Coal Power Plant would have been commissioned a long time ago that would have significantly reduced loadshedding and thus provided relief to people. To throw spanners in the works, a similar effort was made in the form of threats of lockdown but thankfully, the country survived the politics of sabotage. The significance of the Sahiwal Coal Power Project becomes all the more glaring when seen in the context of time and cost overruns in the Neelum-Jhelum, Diamer- Bhasha and Nandipur power projects. The former military dictator had the gall to perform the groundbreaking of the dam at a time when even land for the project had not been acquired. Likewise, the cost of the Neelum-Jhelum Hydropower Project that was estimated to be $800 million has now shot up to $5 billion in the last 18 years. It is now that the project is nearing completion, thanks to the personal interest of the prime minister. The Sahiwal Coal Power Plant has been constructed at the cost of $1.8 billion. Three power projects of Sahiwal power plant’s size could be set up with the money incurred on the Neelum-Jhelum. The world record of the fastest construction could never have been set up without the excellent coordination between various organisations and ministries and departments of the federal and provincial governments. It is a commendable example of what inter-agency cooperation can achieve if there is an unwavering leadership commitment behind a project. This project is also a testimony to the hard work, commitment and thorough professionalism of the project team. Our Chinese friends who worked on this project even during holidays such as the Chinese Spring Festival have made us eternally grateful. This project marks the beginning of Pakistan’s journey towards self-sustainability in energy generation. About a couple of years ago, using coal for power generation at such a large-scale sounded like an ambitious idea. There was apprehension whether or not international investors would come to Pakistan and make an investment of this magnitude. Our problem is not merely the generation of energy that is sufficient to meet our increasing demands but also the production of cheap and affordable energy for our socio-economic growth. This project is a step forward towards the generation of inexpensive electricity at the rate of Rs8.11 per unit. Adverse criticism came from our political opponents who doubted our ability and sincerity to deliver on our promises. However, the completion of this project in record time is proof that when we commit, we deliver. We are driven by the resolve of bringing about transformation in the lives of people. We cannot allow darkness to darken the path of the public. It is our firm resolve and ardent hope that before the summer of 2018, darkness will be replaced by light and the torment of loadshedding by the comfort of smooth life. Never again will our people be subjected to hardships inflicted by power outages. Never again will our socio-economic growth suffer. Roshan Pakistan is our destination, to which all our efforts are directed. I firmly believe that where there’s a will there’s a way. The writer is the chief ministerof Punjab. The Belt and Road Summit is taking place at a time of profound global change. The summit – which will be attended by global leaders, heads of states and governments, intellectuals, businessmen, and high-ranking figures from a wide spectrum of fields – provides a wonderful forum to discuss ways to boost cooperation, build cooperative frameworks and share cooperation outcomes. It represents an effort to pool varied opinions and thoughts together for an intellectually stimulating and mutually beneficial outcome. The connectivity of people, a theme which I will be taking up for my talk, is close to my heart. The idea of the integration of people resonates within me. It represents the finest illustration of deep-rooted people-to-people relations: China and Pakistan’s everlasting and ever-soaring friendship. The globe and the universe as well, has been the charter of curious men and women who transcend territories and boundaries. In doing so, they imprint new pathways around the global landscape. Enterprise was, and is, at the heart of human circulation. It was Zhang Qian, an imperial Chinese envoy who established the fabled Silk Road some 2,000 years ago. Resolute beings crisscrossed this route to trade silk – the most precious commodity of the time. The route defined the commerce of men, ideas, commodities and articles and became the conduit of communication as it interlocked distant lands. Statesmen who marshal a new era punctuate the march of time. President Xi Jinping’s defining vision of the One Belt One Road (OBOR) initiative is epoch-making. It is rooted in the ancient but represents the prescient – a sprawling network of physical connectivity, social and cultural collaboration, economic cooperation and diplomatic and political agreements. Spanning more than 60 countries, the OBOR initiative is a web of motorways, railways, waterways, airwaves, pipelines and gridlines to circulate ideas, experiences, men, material, money and manufacture – all elements of progress and development. Globalisation diffused political boundaries. It was spearheaded by the developed economies and the rest of the world embraced it varyingly. Today, when many societies turn inwards and doubt the rationale and scope of globalisation, the People’s Republic of China has commanded the unfinished agenda of globalisation. But this global vision is more humane and mutual. It relies particularly on collaboration instead of competition. It does not only mind the interest of multinationals but also predicates on ordinary people and their aspirations. As a result, a new globalised complex is emerging: networked people. This could only be possible from a society which has people at its heart. People-to-people contact not only exists between countries but also extends from the neighbourhoods to the distant habitats. China has articulated the OBOR project, which is the path of increased connectivity, through diplomacy, agreements, trade and economic cooperation. While global trade talks have stagnated, China seeks new trade routes and plans to refurbish old ones, helping developing countries restore physical and human infrastructure. It is forging people-to-people partnerships based on mutual respect and wellbeing. The Chinese concept of ‘shared prosperity’ emphasises the idea of one community. This community cannot be prosperous with some winning and many losing – the pristine principle that must eternally define the local, national and international development agenda. Traditional government-to-government relations were exclusively achieved through political and diplomatic means. Information and communication technology has demolished this exclusivity and transformed the essence of inter-state relations: scholars, opinion makers, celebrities, entrepreneurs and ordinary citizens are directly exchanging across borders. There are many layers that now shape the way people think about other countries. People’s connectivity is therefore becoming more important in formulating relations between countries. This is, of course, also the most resilient basis for inter-state relations. People-to-people connectivity involves the genuine empowerment of the people. It transfers power from the elite to the ordinary citizens. China has entered a new era of people-to-people diplomacy through which it hones the advantages of cultural exchanges with other countries. As President Xi Jinping aptly said in 2014, “we should strengthen inter-civilisation exchanges and mutual learning” and “people-to-people diplomacy represents the most profound force in promoting such exchanges and mutual learning”. Pakistan has embraced the historic OBOR initiative wholeheartedly. CPEC is an unprecedented package of cooperation and development between China and Pakistan through this initiative. Breathtaking progress is being made in the implementation of CPEC projects in Pakistan. More than $50 billion worth of projects are under way from Kashgar in China’s Xinjiang province to Gwadar, a deep-sea port in Balochistan. With transparency, efficiency and effectiveness, the building blocks of CPEC are being installed. These are not mere words. Roads and highways, power plants and ports, are at the advanced stages of completion. Industrial cooperation and the long-term plan of CPEC are at the final stage of negotiations. CPEC is the fastest manifestation of the OBOR initiative. It is an economic hallway that benefits both countries by promoting bilateral connectivity in trade, energy and industrial cooperation, integrated transport, IT systems, tourism and human resource development. It is reshaping the geo-economic landscape and is a game-changer not only for Pakistan but the entire region. The Chinese people, leadership and government have shown unprecedented and historical commitment to the restoration of Pakistan’s economy. These massive investments are reinvigorating Pakistan’s economy, which has stabilised due to the prudent and sound policies of Prime Minister Nawaz Sharif’s government. Our government took bold decisions to address the triple peril of extremism, the economy and energy. On all three fronts, visible and verifiable progress has been achieved. And China has been our partner in this turnaround. We shall, forever, be indebted to our Chinese friends, who have stood by us in our hour of maximum need. Our government also discharged its duty with utmost commitment, diligence and sense of purpose. And with the same gusto, I have the honour to steer the course for Punjab during these momentous times. It has been both a privilege and a responsibility. When we commenced, the impediments in Pakistan were daunting. With single-minded focus and resolve, Prime Minister Nawaz Sharif’s government has been able to meet the commitment and expectation of our Chinese friends. Punjab, today, is recognised as a province in Pakistan which has implemented CPEC projects with unparalleled speed and determination. Thousands of Chinese people now reside in Punjab and are participating in our development efforts. The highest degree of attention is paid to their security and comfort. Many delegations and businesses from China regularly visit Punjab to work with us. We are proud of this trust and confidence. CPEC is also transforming the way Pakistanis look towards their brotherly neighbour. The Chinese presence in Pakistan is now evident at a personal level within our markets, culture and the arts industry. Pakistan’s film industry, for the first time, has cast a Chinese hero in a new movie which came out last month. Our youth is fast learning the Chinese language to interact and engage with their new neighbours and friends. People are connecting with each other for their prosperity and well-being. The connectivity of people is the foundation to lasting prosperity and peace. It is the only winning option. Ever since the people voted in Prime Minister Nawaz Sharif for a third term in office, no other matter has consumed as much of his time and energy as conceiving strategies and means to rid Pakistan of the chronic energy shortages. I say this based on my first-hand experience of the meetings on energy that I have been part of. As I took the podium to address the inaugural ceremony of the Bhikki Power Plant, my mind raced back to a meeting of the Cabinet Committee on Energy held in March 2015. While the discussions were under way, I presented the idea of constructing power projects through our own resources, outside the ambit of CPEC. I was concerned about the politics of agitation and sit-ins throwing spanners in the works of the smooth implementation of CPEC projects. The participants at the meeting were stunned by my suggestion. The prime minister was the only one who saw wisdom in my proposal and gave the go-ahead. This meeting provides the context through which three gas-fired power plants – Bhikki, Haveli Bahadur Shah and Balloki – with the cumulative capacity of 3,600 MW were conceived. The Bhikki Power Plant – wholly financed by the Punjab government – is the first project to be commissioned with 717 MW added to the national grid in the first phase. The project has taken 18 months to come online – a world record for a mega project of this magnitude. We can compare the 1,180-MW Bhikki Power Plant – which has been constructed within a span of 18 months – with the 969-MW Neelum-Jhelum Hydropower Project which has been under-construction for over a decade. Our energy problem is complex and multifaceted in its own way. It is not only a generation issue. Instead, it is equally a governance issue as well. Many of our energy woes owe can be attributed to a lack of focus on the part of successive governments on expanding the energy mix by harnessing cheap sources of power generation. As the incumbent government under PM Nawaz Sharif took on this challenge, the matter of generating low-cost electricity, which is both affordable and environmentally-friendly, has been a greater concern. First, the project has been built at half the cost of similar projects. If we compare the project to the Guddu and Uch power plants – which were constructed at the cost of $836 and $987 per kilowatt, respectively – the Bhikki Power Plant has been built at the cost of $466 per kilowatt. In addition, the cost of various IPPs ranged from $800 to $930 per kilowatt. Second, the Bhikki Power Plant uses the most efficient and state-of-the-art technology procured from the world-renowned General Electric. A brief comparison is instructive in this regard to ascertain the overall efficiency of the project. The Guddu Power Plant, with an efficiency factor of 54.48 percent, was considered to be the best in terms of efficiency. The Bhikki Power Plant will have an efficiency of 61.6 percent, which is seven percent more than the Guddu Power Plant. As per Nepra standards, a plant is considered to have achieved an acceptable efficiency benchmark if its efficiency level is 57 percent. Bhikki, with its efficiency of 61.6 percent, represents an increase of more than four percent. Third, for the first time in the country’s history, the government has introduced a culture of savings in public welfare projects. A saving of Rs50 billion has been achieved in the project cost. As a result of the lowest EPC/project costs and other operating costs, the Bhikki Power Plant is expected to bring over Rs200 billion to the national exchequer. The highest efficiency has resulted in a fuel-saving of about Rs120 billion to the national exchequer. As a result, the total savings over the project life – which amounts to 30 years – are about Rs320 billion. Fourth, a transparent procurement process was followed through the International Competitive Bidding (ICB) for the selection of the EPC Contractor for the Bhikki Power Plant, which resulted in securing the lowest ever capital cost per MW in the history of Pakistan ie $466,000 per MW. No relaxation of the PPRA rules was sought at any stage. Fifth, with the construction of this plant, the Punjab government has acquired the capacity and gained experience to undertake the construction of large-sized power plants in the future. The EPC contract was signed as a joint venture of the Harbin Electric International (HEI) of China and the Habib Rafiq (Pvt) Ltd (HRL) of Pakistan on September 22, 2015. The ground-breaking ceremony of the project was held on October 9, 2015. The gas turbines which are used for the Bhikki Power Plant are the GE H class – 9HA.01, which are the world’s most efficient gas turbines with a low operating cost. On the basis of the current LNG price per KWH is Rs7.37. The 18-month completion time of the Bhikki Power Plant on a simple cycle has also set a world record as to date no power project of this size and technology has been completed in such a short period of time. While undertaking this project, we have made sure that we uphold the highest standards of transparency, efficiency, compliance with requisite standards and quality controls. The Bhikki Power Plant isn’t just a project that we have inaugurated. It is the realisation of a dream – a dream of national development and ridding the country of the scourge of loadshedding with the highest standards of transparency. The PML-N has a sound track record of public service. As we went about putting this project online, we were not deterred by the roadblocks that came our way. On the other hand, we converted this criticism into positive energy to drive our actions and the results are before everyone. It is this quest for making Pakistan the embodiment of the Quaid’s and Iqbal’s ideals that continue to guide our efforts as we go about performing the fundamental task of turning the country towards progress on different fronts. This is excerpted from a speech that the chief minister delivered at the inaugural ceremony of the Bhikki Power Plant on April 19.